Reflecting changes in the way people purchase goods and services online, a leading car and van leasing company has announced the completion of its new mobile website. Customers will now be able to browse the full-range of leasing offers on the Nationwide Vehicle Contracts website from their smartphones, enjoying a shopping experience that is tailored to smaller screens and touchscreen interaction. Demand for dedicated mobile versions of websites has risen as a consequence of rapid smartphone uptake. Mobile visits to the Nationwide Vehicle Contracts site accounted for 31.62% of all traffic in the first quarter of 2012, even before the creation of a dedicated mobile version. The Nationwide Vehicle Contracts mobile site corrects many common usability issues: Users who visited the site on their mobiles prior to the 17th of May would have been greeted by lengthy loading times, over-sized images and difficult navigation on their small touchscreens. The updated mobile site offers easy access to vehicles sorted by make, type and price with an eye-catching carousel of latest offers and a user-friendly search-bar. It also introduces a garage, in which visitors can store, export and efficiently compare vehicles they are interested in leasing. Users can then get a quote and enjoy the complete range of services available on the main site. Visitors on iPad, Android, Windows 7 and other large format tablets default to the more appropriate desktop version of the site. Were very pleased with the new mobile site, both in terms of its quality and the message it sends to our customers, said Donna Kelly, marketing and website editor for Nationwide Vehicle Contracts. Our customers are especially likely to use our site whilst out and about, and we want to ensure that they are properly served by a version of the site tailored to their habits. NVCs competitors do not currently offer fully-featured mobile-alternatives to their desktop sites. Alex Goluszko, User Experience designer on the project added: To ensure the final product fully supported their goals and behaviours, we put Nationwides customers at the centre of our design process from day one. This helped us deliver a fast, optimised mobile experience without sacrificing features or functionality. Online mobile research resource Our Mobile Planet reports that 51% of the UKs adult population owns a smartphone, placing the nation within the top six markets worldwide. The research also reveals that 35% of UK smartphone users expect to spend more time online using their phones in the future and that currently, 44% are worried that online purchasing doesnt feel secure. 69% admitted that theyd prefer to use a computer or laptop for online purchases. 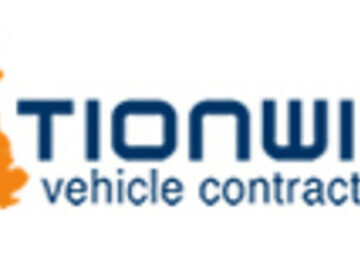 Nationwide Vehicle Contracts| is a UK-based car and van leasing company with a decades worth of experience of the online vehicle leasing market. It offers nearly 400 different models from 35 leading manufacturers to business owners and individuals. NVC leases are offered on a wide-range of contract lengths and annual mileage terms to suit any motorist. Vehicles are delivered free of charge and can include optional maintenance programmes and insurance. * For more information regarding media usage, ownership and rights please contact Nationwide Vehicle Contracts.